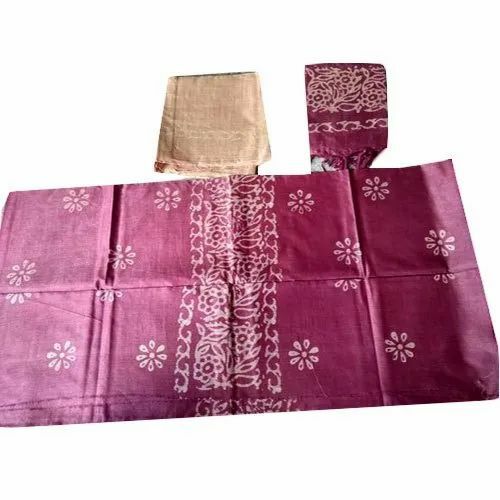 To meet the various requirements of the customers, we are involved in offering a wide assortment of Batik Print Cotton Salwar Suit. “Hayat Handloom” is passionately engrossed in this occupation of manufacturing, since 2005. Our firm is a sole proprietor owned entity which is headquartered at Bhagalpur, Bihar. The spectrum of products in which we deal includes Ladies Saree, Bhagalpuri Chadar, Batik Print Cotton Salwar Suit and many more. We are facilitated by highly efficient R&D department that support us to get precise idea about the mounting market requirements. In addition, our affordability and flawlessness of products is widely rejoiced by clients.